Grand Junction’s location west of the Rockies in high desert country can make it a challenge to keep energy costs to a minimum. 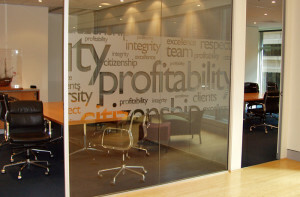 Our window films offer a solution to soaring energy costs and more. By utilizing spectrally selective technology and aggressive adhesives, our premium window films provide a way to improve the energy efficiency and strength of glass while also enhancing it aesthetic appearance. From cafes, restaurants, and retail stores along Colorado Avenue downtown to homes in Palisade, Fruita, and Orchard Mesa, properties ranging in type and size in Grand Junction can benefit from our window tinting applications. As a city that’s relatively close the Colorado National Monument, a renowned mountain biking destination, and the center of Colorado’s wine country, Grand Junction receives a huge amount of tourist traffic throughout the year. Standing out is key for businesses in the area, which means creating a compelling storefront that attracts and entertains tourists and locals alike. Our frosted, patterned, and branded films are perfect for creating eye catching visuals and design intrigue for Grand Junction restaurants, hotels, and retail businesses as well as privacy in your home! Energy costs can quickly become a burden in high altitude environments. And since Grand Junction receives almost little to no rainfall throughout the year, summers can quickly turn into a series of scorching hot days. With solar control window film, Grand Junction residents can easily escape the heat and keep high energy costs at bay. Solar control film blocks heat causing infrared rays, allowing indoor climates to become more comfortable and energy efficient year round. Even cities in the mountains like Grand Junction that are far away from Colorado’s capitol still experience their fair share of crime. Crime can really take a toll on a community, seriously affecting its businesses and schools. 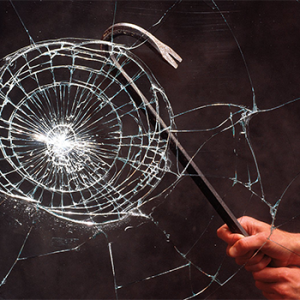 Window film provides Grand Junction schools and businesses with a way to protect against vandalism, smash and grabs, and other crimes. Security window film creates a thick barrier that provides 24/7 protection against even extreme dangers and high impact forces. More and more research is showing that sunlight is important for human health and well-being. Students perform better on tests in classrooms that have more sunlight. Office employees call in sick less often and are more productive in environments where they have plenty of access to sunlight. Daylight Redirecting Film provides Grand Junction property owners with a way to increase natural brightness indoors. Daylight Redirecting Film extends the reach of natural light, creating welcoming, bright interiors.